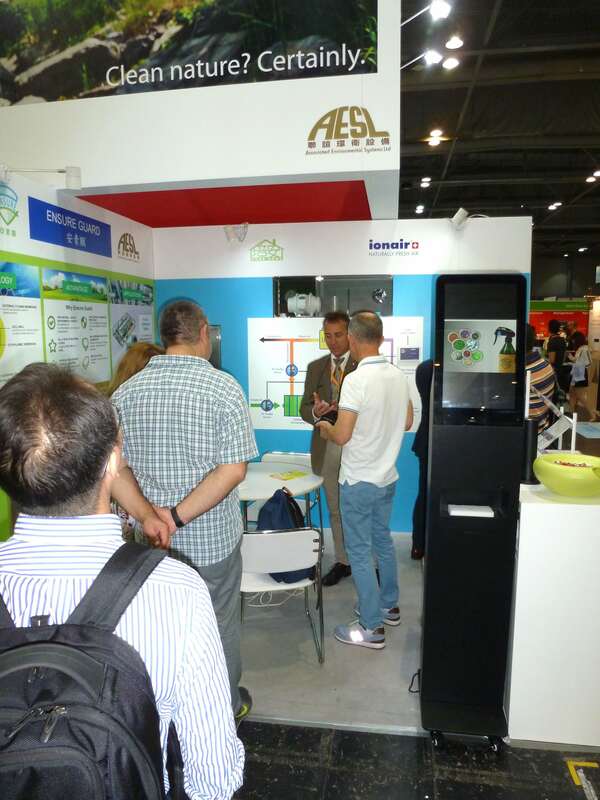 Eco Expo Asia took place from Thursday 25th to Sunday 28th, October 2018 at the AsiaWorld-Expo in Hong Kong. 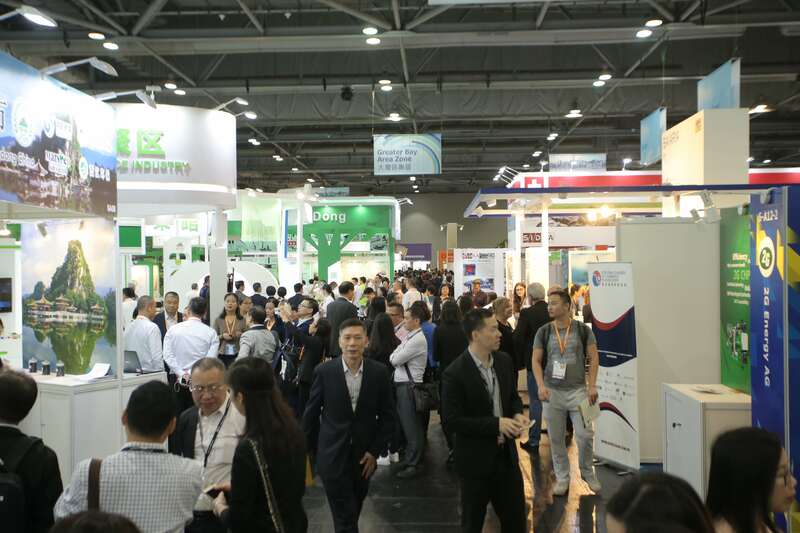 Eco Expo Asia took place from Thursday 25th to Sunday 28th, October 2018 at the AsiaWorld-Expo in Hong Kong. 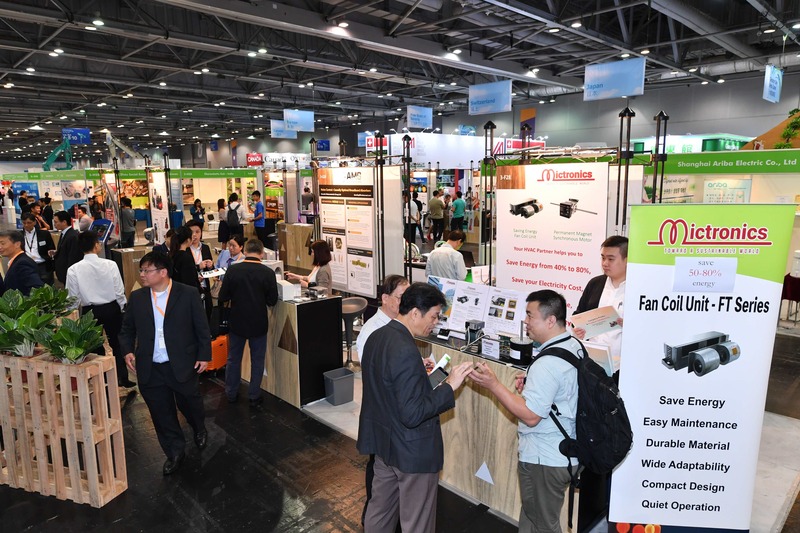 The trade fair was organized by the Hong Kong Trade Development Council (HKTDC) and Messe Frankfurt (HK) Ltd. for the 13th time. In 2018, the 4-day event attracted 338 exhibitors from 19 countries and regions and 14’824 trade visitors on a gross space of 9’600m2. 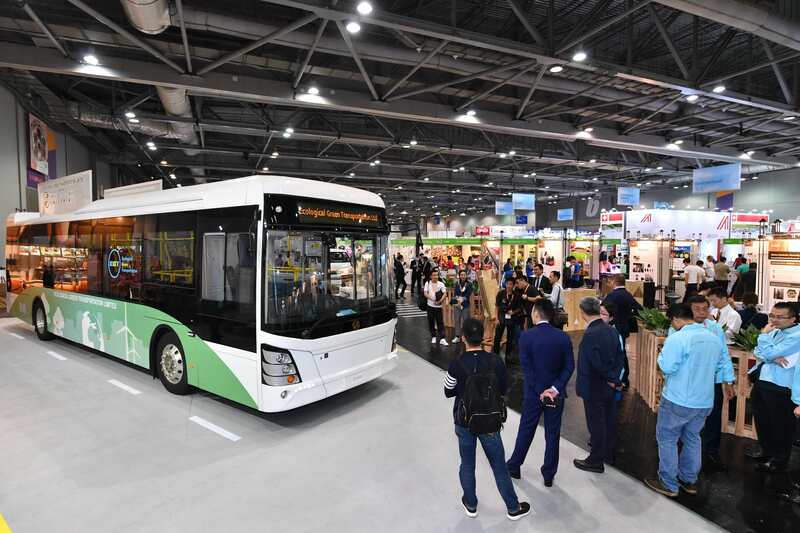 The expo featured a total of nine thematic zones to meet the latest market needs related to eco-friendly technology and materials. As in previous years the Joint Swiss-Austrian Pavilion with its great location managed to attract the attention of the visitors. 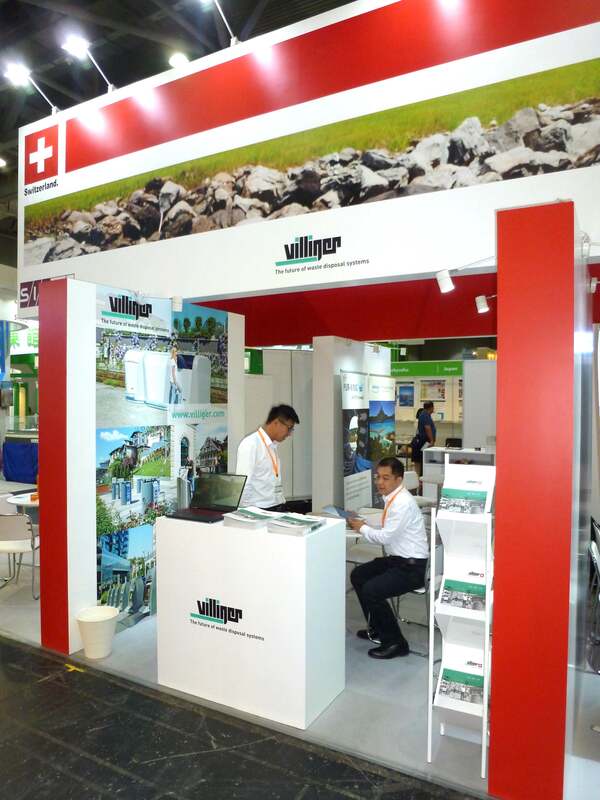 The companies of the sixth Swiss Pavilion at Eco Expo Asia presented solutions ranging from air quality management and piping systems to waste management and water saving devices. 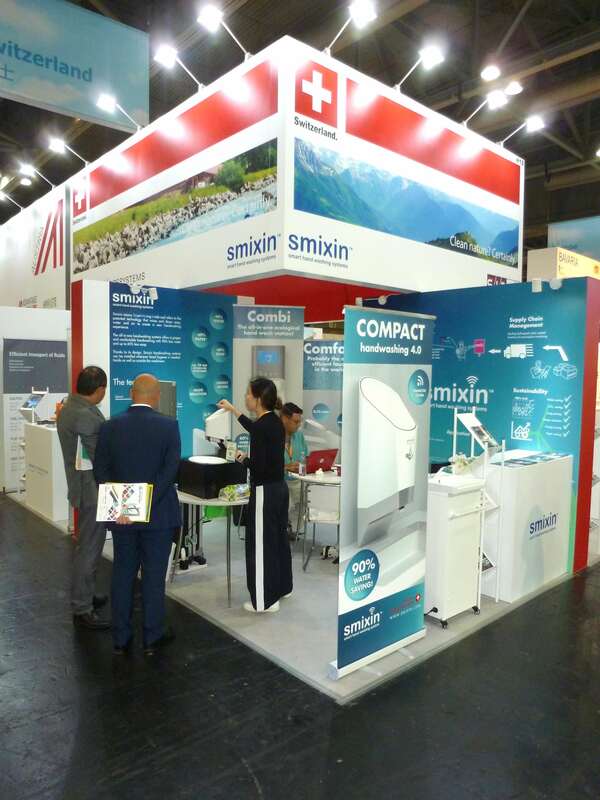 The co-exhibitors (Associated Environmental Systems Limited/Ionair/Luftqualität AG, Brugg Pipesystems, Cosmo Consult AG, Smixin SA, SID SA/SID Machinery (Beijing) Co. Ltd, Villiger Entsorgungssyteme AG) were satisfied with the frequency of visitors and number of contacts. 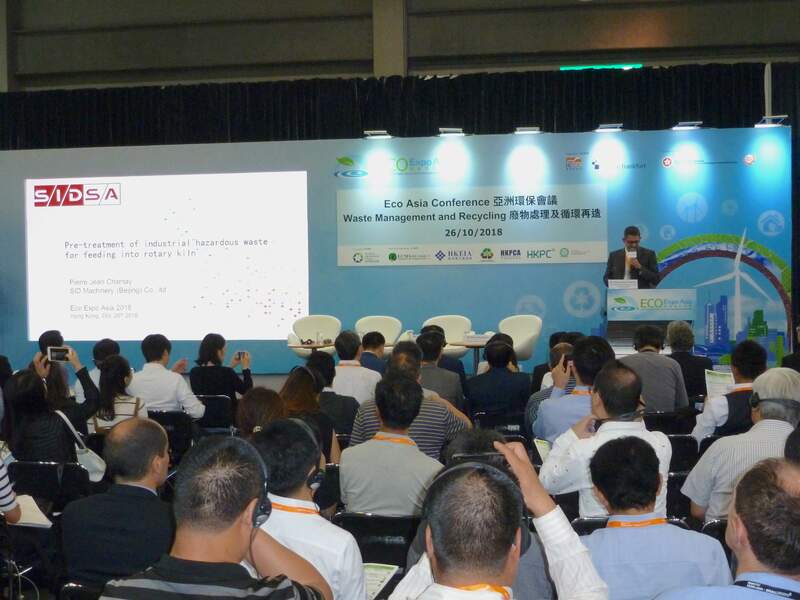 A highlight of the expo was the “Eco Asia Conference”, where nearly 40 government officials and experts from eight countries and regions shared insights on a range of hot issues. On the topic of Waste Management and Recycling our co-exhibitor Mr. Pierre-Jean Charnay, General Manager of SID Machinery (Beijing) Co. Ltd. held an interesting presentation on “Pre-treatment of Solid Industrial Hazardous Waste for Feeding into Rotary Kiln”. At the Opening Ceremony, HKTDC’s Mr. Chau announced that, with the ongoing development of the Guangdong-Hong Kong-Macao Greater Bay Area, local governments are now keen to promote a greener, low-carbon economy, creating enormous investment opportunities in the areas of environmental pollution control, waste management and energy-saving products and services. In view of this development, this year’s Eco Expo Asia featured the new "Guangdong-Hong Kong-Macao Greater Bay Area Zone", where cities such as Guangzhou, Zhaoqing and Foshan presented the latest green opportunities, while various Greater Bay Area government officials and corporate representatives shared their insights on green policies and market trends to promote greater collaboration on environmental issues. The Swiss Pavilion was positioned in the neighborhood to the Greater Bay Area Zone and could therefore benefit well from the high visitor frequency this specially promoted area attracted. 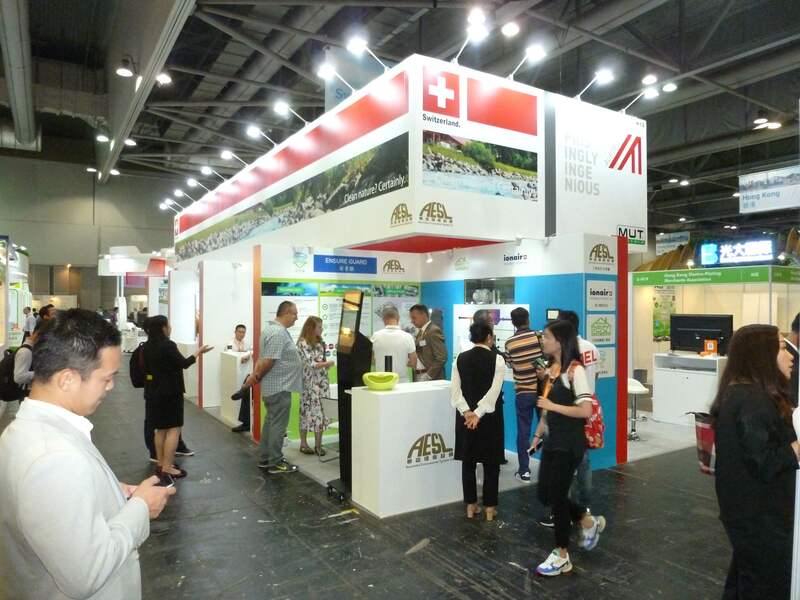 Many thanks to all Swiss co-exhibitors for participating in Hong Kong and also, Austrian Advantage, as well as other co-exhibiting Austrian companies, for the cooperation in the joint Swiss-Austrian Pavilion! 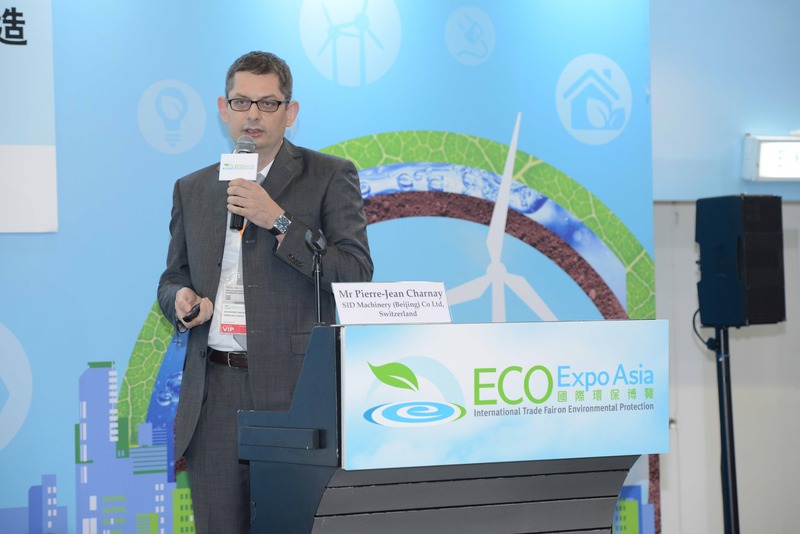 Check the official press releases at Eco Expo Asia’s Website, to find out more about the highlights of this year's edition of Eco Expo Asia!